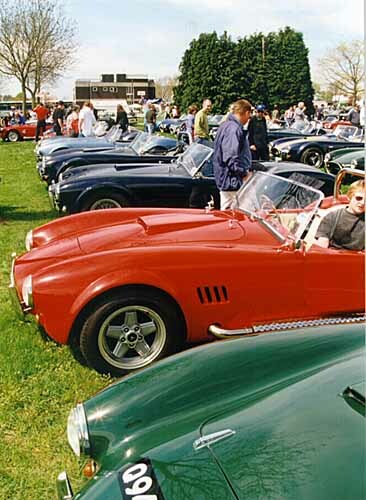 The following pictures were all taken at the UK Cobra Replica Club stand at the National Kit Car Show. 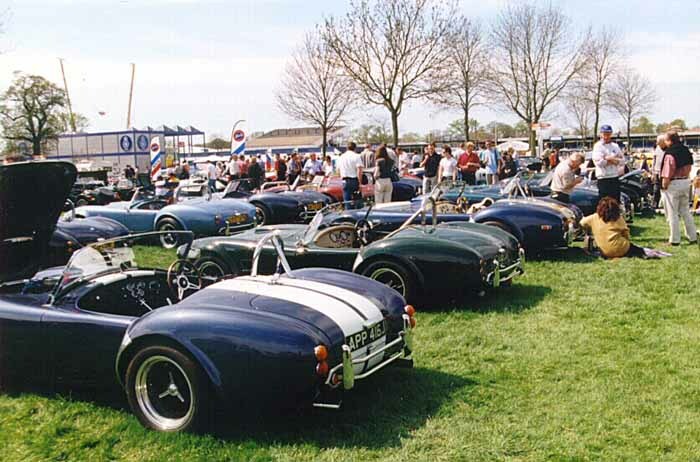 The show was held on the 31st April and 1st May at the National Agricultural Showground near Stoneleigh. 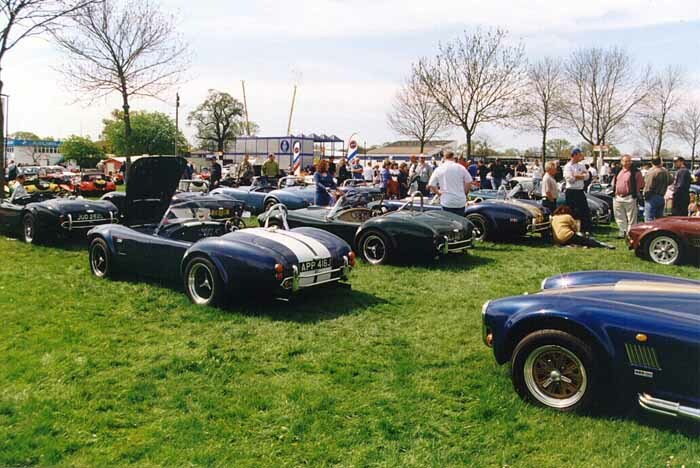 This is the largest kit car show in the UK and the Cobra Replica Club stand won 'Best Stand' over the two days. 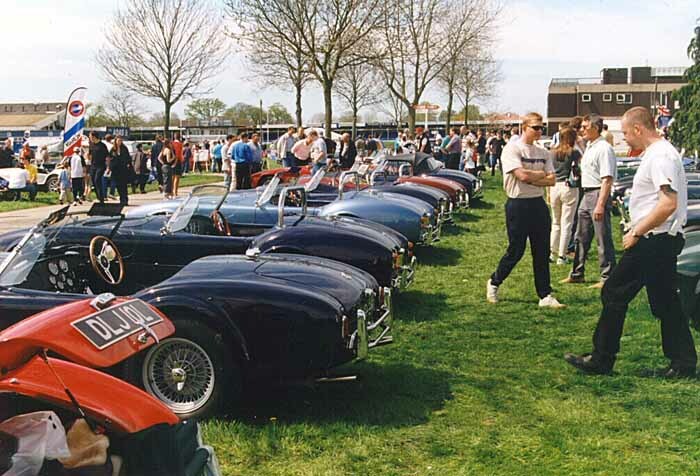 On the Sunday we must have had over 100 Cobras on the Club stand. It was a sight to see. On the Sunday armed with my camera I took photographs of some of the cars on our club stand. 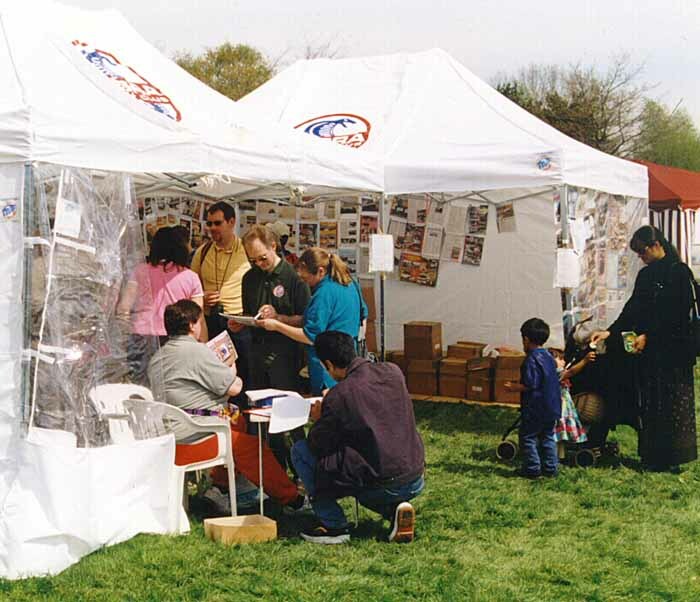 We had all kinds of manufacturers featured here. 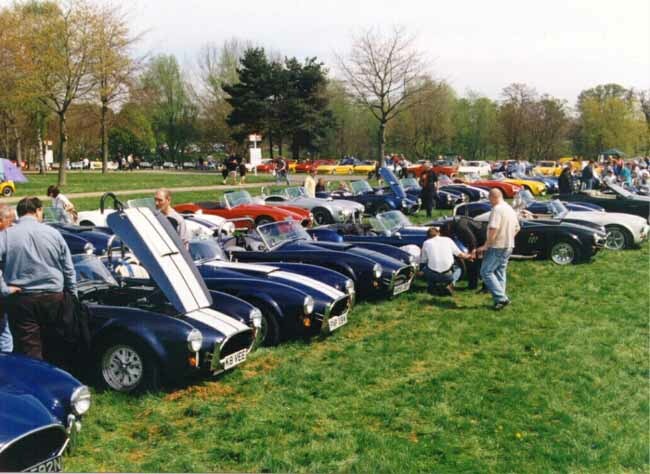 Dax, Crendon, Pilgrim, AK Sportscars, Hawk, Southern Roadcraft, Magnum, Ram to name a few. 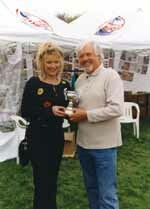 John 'Cookie' Cooke our Chairman receives the award for best club stand. 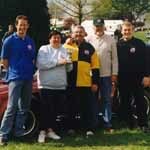 The lady was from Emmerdale and I can't remember her name! 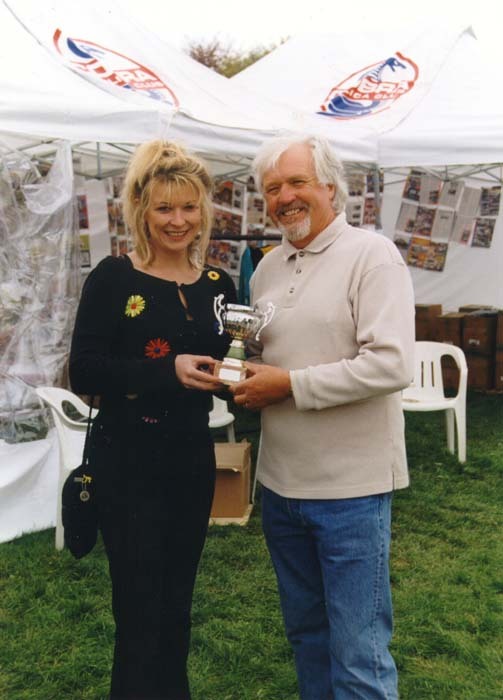 Some members of the committee with the Best Club Stand award. 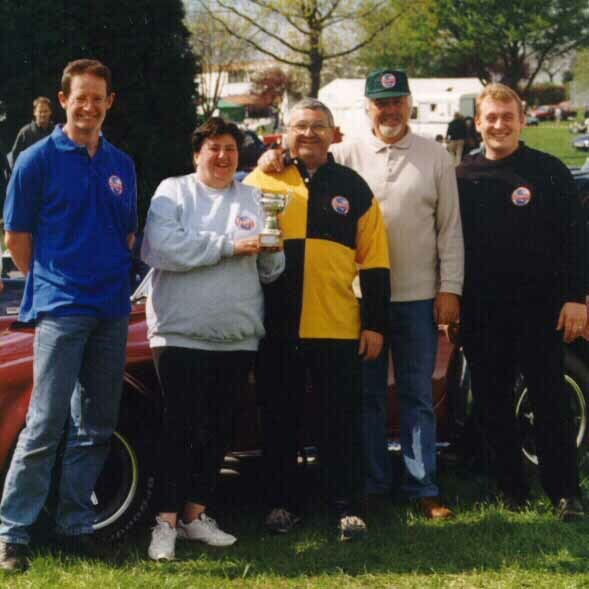 From left to right, just in case you're interested is: John Tisbury, Marion Jones, Peter Jones, John 'Cookie' Cooke, Simon O'Sullivan. You can just see the rear of my car in the foreground. The weather was great and everyone seemed to enjoy themselves. This car was parked behind ours. I don't know who it belonged to but it was a pretty looking car. 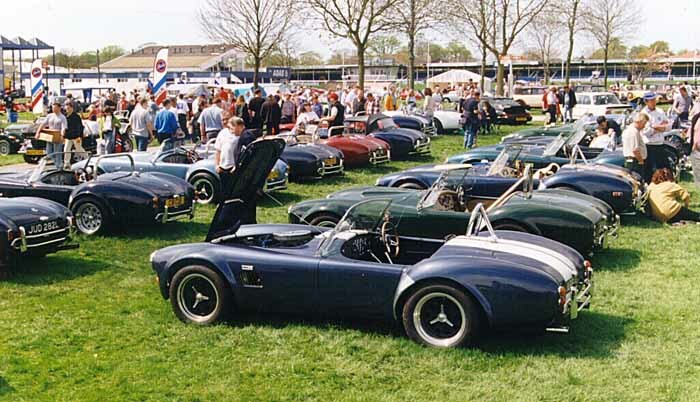 A view looking the other way to another mass of cobras. 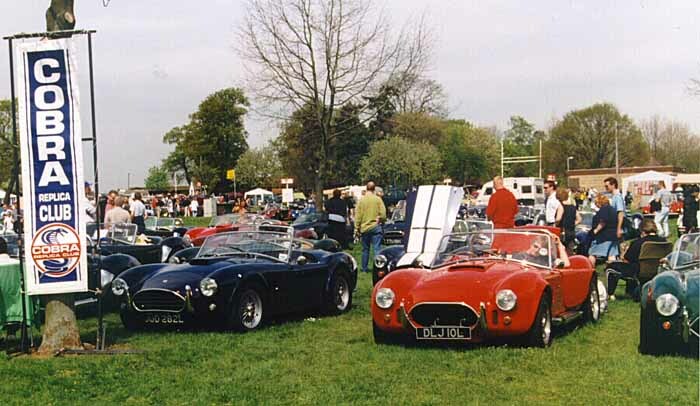 As ever there was a great variety of cobras for people the see. 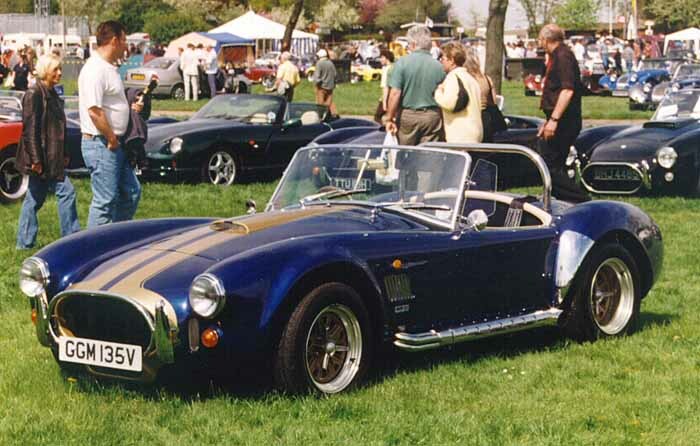 This helped the people who were thinking about building a replica as they could meet and talk to the owners, plus it allowed members of the club to meet and talk cars. Well you've got to take pictures of your own car haven't you? During the weekend we talked and attracted many new members. It was great to put a face to people I'd been talking to on the phone or by email over the past few months. Also I had the pleasure of meeting lots of new people which I hope to bump into again in the near future when they have built their dream car.